POLARaudio is now shipping Beyerdynamic’s CUSTOM headphones series. The company’s new headphones series is designed to offer users an advanced degree of adaptability previously unseen in the market. One of the key feature of the new series is the CUSTOM sound slider, which allows the user to select from four different audio profiles via adjustable bass reflex vents in the housing shells. 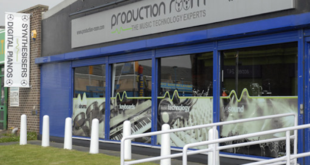 The profiles range in style from ‘analytical’ to ‘heavy bass’ depending on the user’s requirements and preferences. The CUSTOM range is aimed at delivering optimised bass clarity whilst still allowing the user to regulate the intensity. A further benefit of this feature is that it enables the user to control the amount of ambient noise attenuation in relation to the setting. 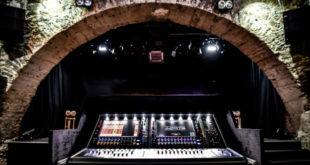 Meanwhile, the new variable noise reduction system is designed to render CUSTOM an ideal tool for the road, as well as for the studio or the stage. In contrast with traditional active noise cancelling headphones, CUSTOM headphones do not require batteries for the noise reduction system to work. Furthermore, they isolate ambient noise coming from the environment and also prevent noise ‘spillage’. The headphones’ single-sided cable is a plug-in type, available in different lengths to accommodate a variety of requirements, whilst the moveable yokes and adjustable headband allow for a comfortable fit. Beyerdynamic has also addressed the style aspect of CUSTOM headphones by creating a range of aftermarket designs on coloured covers, rings, ear and headband pads that allow the owner to personalise the product at any time.